Sell Your Altcoins, Says Pioneering Wall Street Blockchain Analyst | News by Wales Express News, People Before Profit! 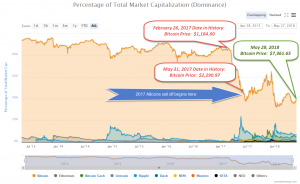 I’ve Been Saying All Along – Buy Bitcoin, Sell Your Altcoins, Says Pioneering Wall Street Blockchain Analyst – You’re watching history in the making. 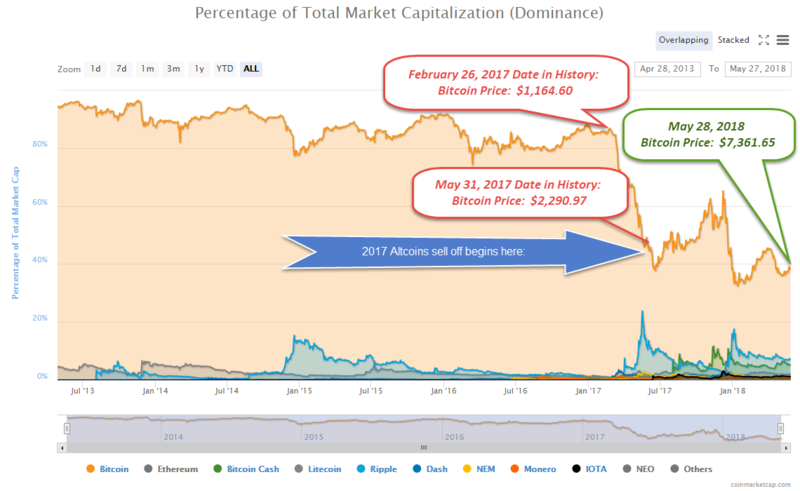 Massive Sell-off of altcoins for BITCOIN 8 months ago – You’re watching history in the making. Bitcoin remains a strong buy despite recent losses, blockchain venture capitalist Spencer Bogart told CNBC yesterday, May 26. 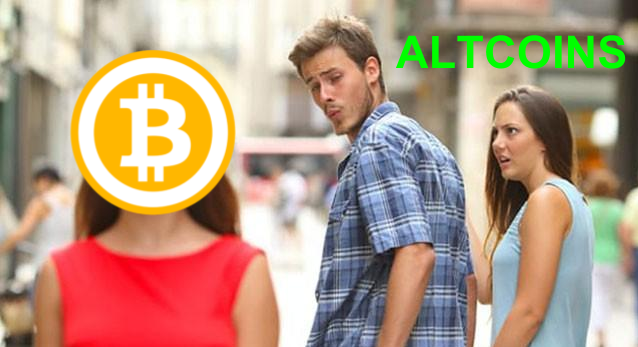 The cryptocurrency will trade “at least” above $10,000 by the year’s end, he added. Bogart is a partner at major VC firm Blockchain Capital, and was reportedly the first Wall Street analyst to cover Bitcoin and blockchain, authoring a highly regarded blockchain industry report. Bogart said he would sell alts such as Cardano, TRON, IOTA and NEO, but was “neutral” and would hold Ethereum, Ripple, Bitcoin Cash and EOS. “I’m very constructive as regards Ethereum on a long-term basis,” he said. Nonetheless, he considered that Ethereum currently has “a lot of overhang” because of the many “overvalued” tokens that are built on its platform, and suggested that Ethereum’s future will be closely correlated to the future development of the ICO space. Bogart also noted that this has been the first sustained bear market where nobody has suggested the “end of Bitcoin.” He suggested that the reality of a deeper institutionalization of the crypto space is securing the long term “story,” and is “overall positive” for Bitcoin’s future. He also said that ongoing turbulence in the traditional financial sector, such as recent national fiat currency crises, is reinforcing Bitcoin’s use cases. Negative performance in the crypto markets for now seems to be continuing, with Bitcoin trading below $7,400 to press time, down a further 2 and half percent over the 24 hour period. Don’t Miss Out! Subscribe Now! How do I find my API key on Binance?